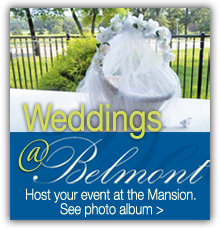 Historic Belmont Mansion provides the setting for the story of the Fairmount Park area of Philadelphia from colonization to the present. The property around Belmont Mansion was initially a group of farms. William Peters, an English lawyer and land management agent for the Penn family, bought the property in 1742. Peters designed and built Belmont Mansion, and he created formal gardens surrounding the Mansion. As the American Revolution approached, Belmont Mansion passed to William's son, Richard Peters. Richard served as Secretary of the Board of War for the Revolutionary Army and Pennsylvania Delegate to Congress under the Articles of Confederation. Many Founding Fathers stayed at the Mansion at this time, including George Washington, John Adams, Thomas Jefferson and James Madison. Richard Peters served in a variety of positions, including Speaker of the Pennsylvania Assembly, Pennsylvania State Senator and Judge of the United States District Court. He also was an environmental scientist, and he converted the Belmont Estate into a working model farm to promote scientific agriculture. Judge Richard Peters was also a member of the Pennsylvania Society for the Abolition of Slavery. Notably, he opposed the Fugitive Slave Act of 1793. After the death of Judge Richard Peters, The Belmont Estate was transformed by commercial development such as railroads, stone quarries, oil refining and a country resort for private parties. The property became part of Fairmount Park in 1869 as part of a program to preserve the quality of water. In anticipation of the Philadelphia Centennial Exposition in 1876, a large dining pavilion was built alongside Belmont Mansion. 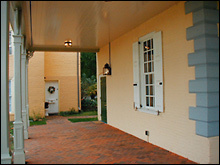 The site continued to be used for public entertaining until it became an historic house museum under the management of the American Women's Heritage Society in 1986. 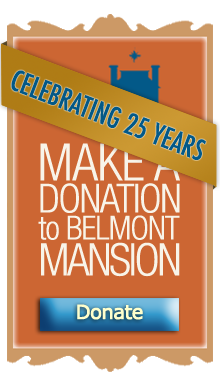 Recently, after extensive renovations, Belmont Mansion reopened in the summer of 2007 as The Underground Railroad Museum at Belmont Mansion. Learn about Cornelia Wells, and her life as a freed slave at Belmont Mansion.